With over 90 grandmasters in the field, the Gibraltar Masters which has just concluded was never going to be a stroll for anyone and choosing a winner was probably like doing the same in the Grand National. For those wondering why Lev Aronian, Wesley So, Hikaru Nakamura and Maxime Vachier-Lagrave were not at Wijk aan Zee, here is your answer: they were in Gibraltar and not having an easy time of it either. While it would be churlish not to acknowledge the winner, the Russian GM Vladislav Artemiev on 8½/10, it should be noted that So, MVL and Nakamura finished 11th, 13th and 16th respectively on 7/10 while Aronian finished 24th on 6½/10. The three leading British players performed with great credit in such a strong field: Michael Adams came 14th with 7/10 and Gawain Jones 32nd on 6½/10 but the star of the show as far as the Brits were concerned was David Howell who finished an excellent 4th with 7½/10. 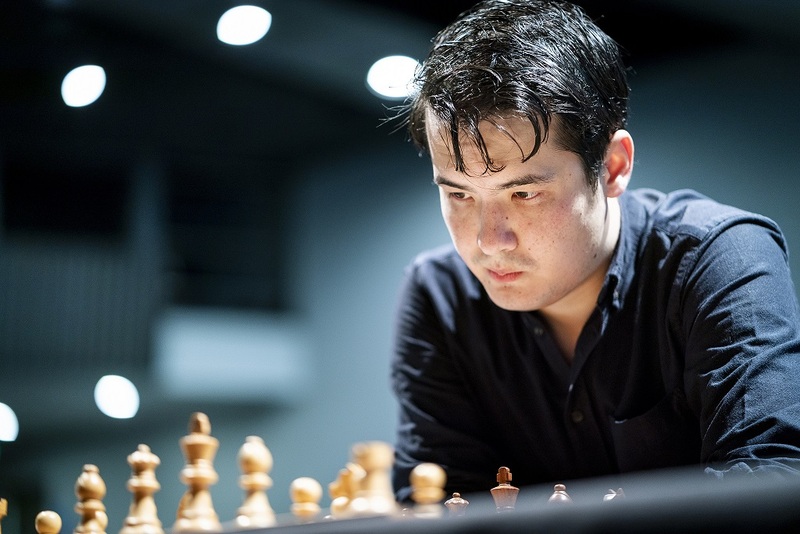 He lost only one game – of which more anon – and in the last two rounds drew with Nakamura (world number 16) and beat Aronian, the world number 10 and World Championship semi-finalist with time to spare. It’s Howell (White) to move. Stockfish has the position as equal (0.37) and if Howell had played the move the computer suggested (59.Kd3), it would still have been equal at 0.37. However, Howell played 59.Ke3? ?, a Howeller of the first degree. 59…Rxc3+! Ouch! If the pawn re-captures, Black’s b-pawn queens. Howell struggled on until move 81 but the game was up.